PowerStrip Modular is a new modular powerstrip system which has been designed by DesignNest based in the Netherlands and has launched this month via Indiegogo to raise the required funds it needs to go into production. The design of the power solution allows you to pick and choose different components to make the powerstrip meet your exact power consumption needs. Available from $90 for earlybird backers the system provides 12 module is of your choice and will start shipping during November 2018. 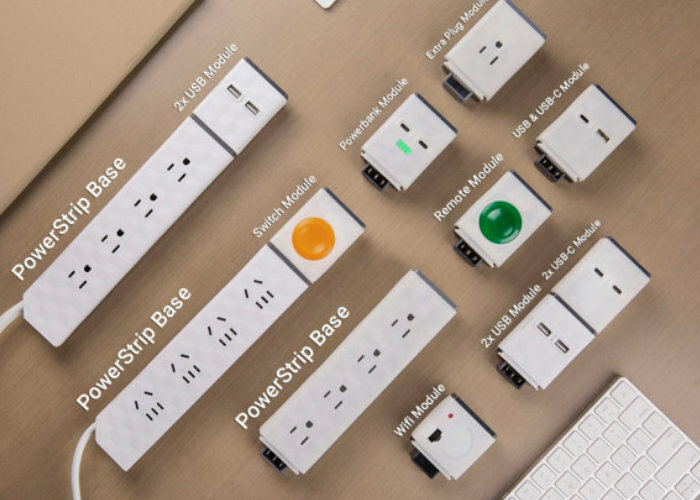 Watch the video below to learn more about the PowerStrip Modular and the range of modules available which can be combined to create the perfect power strip that offers USB charging, remote control power banks, extra plug sockets or Wi-Fi modules. With PowerStrip Modular we want to put an end to the continuous search for adapters, wifi extenders, remotes, switches and whatnots. By providing you with a modular solution for every current and future technological requirement, we want to make an end to incompatibility issues. Jump over to the Indiegogo crowdfunding website by following the link below for a full list of all available pledges, modules and specifications.